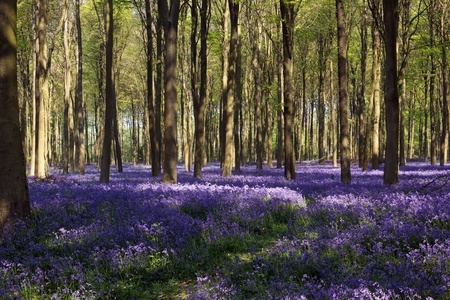 The Bluebells In Wepham Woods Wall Mural is a lovely woodland scene in Sussex, England. The forest floor is covered in lush purple flowers. The setting sun casts long shadows through the trees. Choose your own size and material.